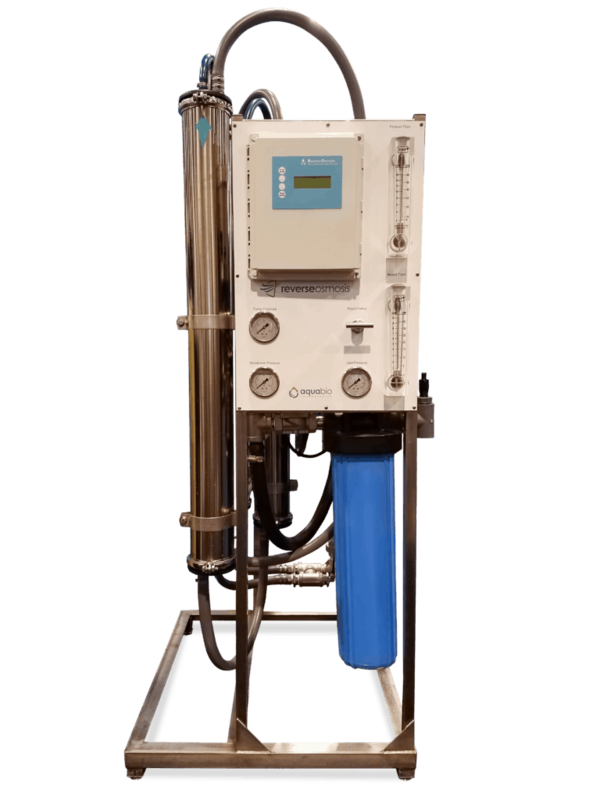 Aqua Bio reverse osmosis systems are designed for overall superior performance, high recovery rates, minimal energy consumption, and great savings with low maintenance and operation costs. Aqua Bio reverse osmosis systems feature a new, innovative, and expandable design. These systems feature only the highest-quality components, including a programmable computer controller with built-in standard features, a stainless steel booster pump for high performance and corrosion resistance, ultra low energy membranes, and fiberglass membrane housings for enhanced performance and durability.